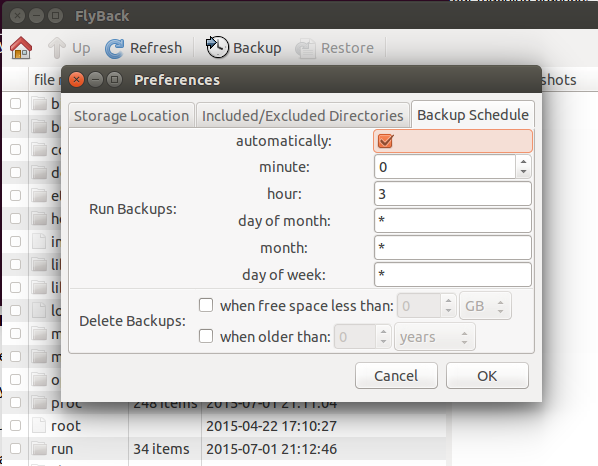 FlyBack is a similar app to Apple’s Time Machine, it lets you create incremental backups of your data, you can restore those backups using an easy to use graphical interface. It is a powerful utility that caters the needs for all types of users. It uses Git, Rsync, and Python on the backend to perform required operations. Here are important features of this freeware application. Lets see how we can install this wonderful app on Ubuntu system. Here are pre-reqiuists for this applications, they must be installed on our ubuntu system before we run FlyBack. Run following command on the terminal to install all pre-requisites. Run following command to extract the downloaded file. 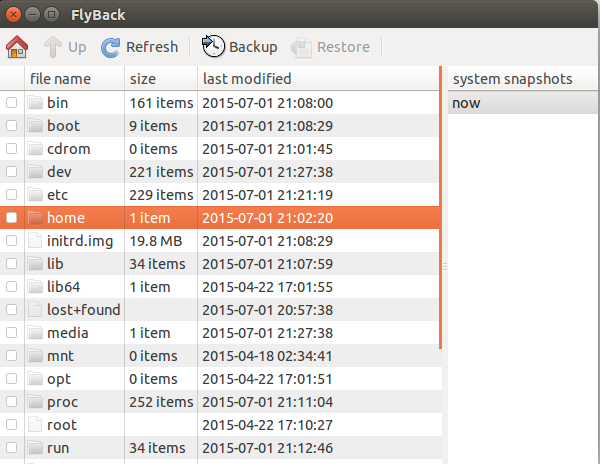 Here, run following command to start Flyback on your Ubuntu System. On the very first screen, configure the location to save your backups. It is preferred to use external drive for your critical data backup. 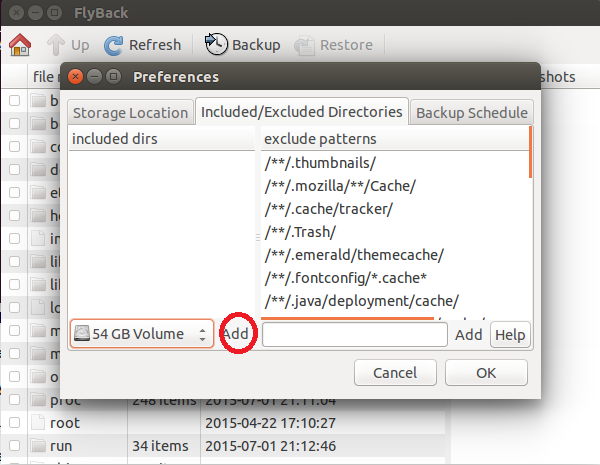 From “Included/Excluded Directories” tab, choose the directory you want to include for backup and click “Add” button as shown encircled in following screenshot. From “Backup Schedule” tab, select the frequency of the backup. How often you would like your data to be backed up, is controlled from here. 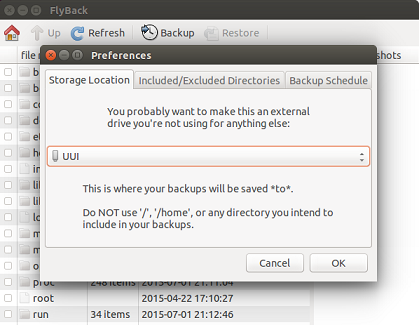 That’s all, you can configure automatic backups using this utility and can restore them from here as well. Head to “Restore” option on main menu when needed to restore stuff.